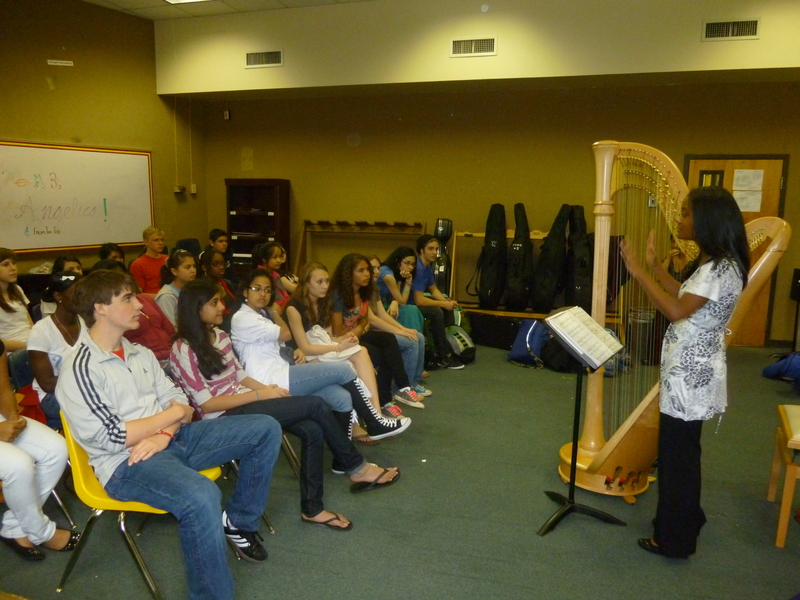 The day after taping Show #228 in Athens, GA, our Education Team traveled with performer and harpist Angelica Hairston to the Clarke Central High School. They met with twenty orchestra students, ranging from 9th to 12th grade, and teacher Eunice Kang in the school’s orchestra room. Angelica is the recipient of From the Top’s Jack Kent Cooke Young Artist Award. She performs regularly as a member of the Atlanta Symphony Youth Orchestra and the Greenforest Community Baptist Church Orchestra and Choir. 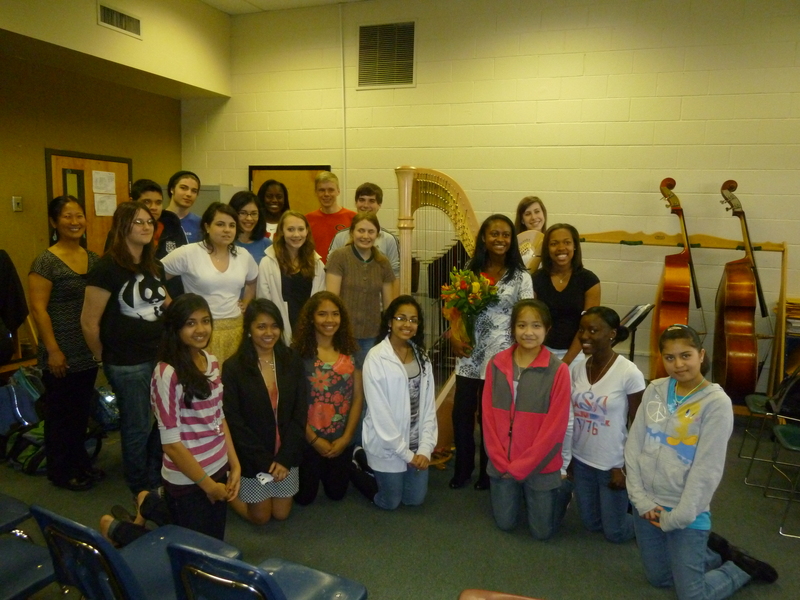 She also plays the violin in several quartets, and as concertmaster with the Chamblee High School Orchestra. Angelica opened Monday’s presentation with the “Third Dance” of Andres’ 6 Autumn Dances for Harp to demonstrate her instrument’s range. She then shared why she first became interested in the harp, and demonstrated the basics of how it works: why the strings are different colors, how the pedals are used, etc. Angelica performed two other pieces for the event: Impromptu Caprice by Pierne (from the radio taping) and “Winter” from Vivaldi’s Four Seasons. Angelica also shared the importance of focus and dedication, and how music has forever changed her life. Read more powerful stories about musicians making a difference by visiting our blog and clicking on Arts Leadership.